Before considering a nose job, it is always best to research and reach out to a prospective rhinoplasty cosmetic surgeon. While referrals and recommendations from family and friends are valuable, doing your own homework helps you personally determine which rhinoplasty surgeon to choose. Not only will you want to investigate the type of rhinoplasty surgeries your prospective surgeon offers, but you should also learn about his/her educational background, area of specialty and other professional details. The more you know, the more comfortable, confident and committed you’ll feel when getting a nose job. 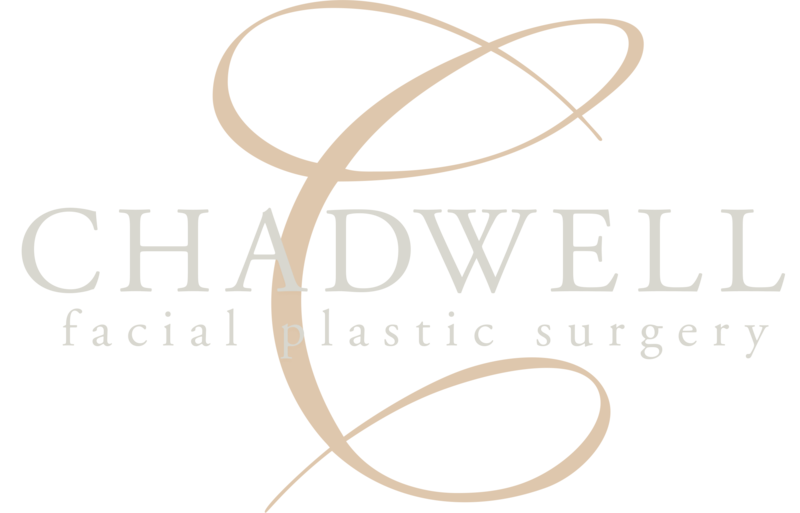 Dr. Chadwell is also certified through the American Board of Facial Plastic and Reconstructive Surgery and American Board of Otolaryngology Head and Neck Surgery. Why is all the background information so important? One of the top recommendations of vetted entities such as the American Society of Plastic Surgeons and American Academy of Otolaryngology Head and Neck Surgery is to seek a plastic surgeon who specializes in the procedure you’re considering having done. Another reason that patients prefer Dr. Chadwell as their rhinoplasty cosmetic surgeon is for his honest, thorough and professional approach. For instance, Dr. Chadwell may recommend a nonsurgical nose job (nasal reshaping) to improve minor bumps, humps, dents and imperfections with the nose and nasal tip rather than surgical rhinoplasty in some cases. It behooves any plastic surgeon to speak honestly with his/her patients from the first meeting. Dr. Chadwell believes it is imperative for his clients to understand every nuance of the particular procedure they are considering. He will always be transparent when it comes to the cost of rhinoplasty, how long nose job recovery will last and when you can expect to see results. When patients are thoroughly informed, it enables them to have realistic expectations. When they achieve the results they want, their satisfaction speaks to not only Dr. Chadwell’s ability, but of his honesty and integrity as well. If you’d like to find out if Dr. Chadwell is a good fit for you as a rhinoplasty cosmetic surgeon, we’d love to help you schedule a consultation today. Give us a call at (574) 367-2679.